Later this month, a Bonner County man accused of killing his wife in 1997 will stand trial thanks in part to a now-cancelled TV show. Barry Brandon Beckford's trial is set for May 31 in Yakima County Superior Court. 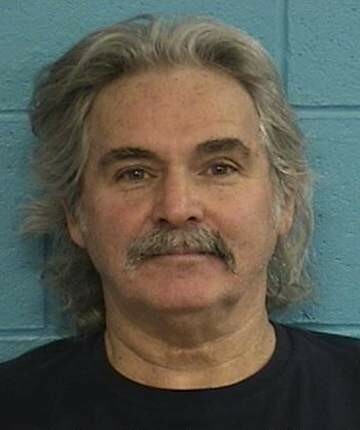 He is charged with first-degree murder in the death of his 32-year-old wife, Deborah Bailey, who was shot four times in the head, according reports in theYakima Herald. Beckford, who used to go by Barrett Bailey, was originally a suspect in the death but was never prosecuted due to lack of evidence — until January 2015, the Bonner County Daily Bee reports. That's when the episode of the real-crime show Cold Justice featuring Bailey's death aired on TNT (the episode, "Miss Congeniality, is embedded below). Investigators for the show worked with detectives to reexamine the case and offered new insights, according to the Yakima Herald. "This is a TV show, and I'm the sacrificial lamb," Beckford said in court after his arrest. He has also been charged with witness tampering. Before its cancellation, Cold Justice brought other real world impacts. A former pastor was arrested and charged with second-degree murder in 2012 a couple weeks after one of its episodes aired. The man, James Ty Flanders, confessed to the murder last month. The show's first episode featured a case that resulted in another murder confession in a 2001 death originally ruled a suicide. The producers and stars of the show have also been sued at least twice for their cold case investigations — first by a Tennessee man, who alleged the show painted him in a false light, and again by a man in Ohio, who made similar claims.